1.Cook barley as label directs just until tender; drain and rinse with cold water. 2.In large bowl, whisk together garlic, oil, vinegar, mustard, honey, salt and pepper. 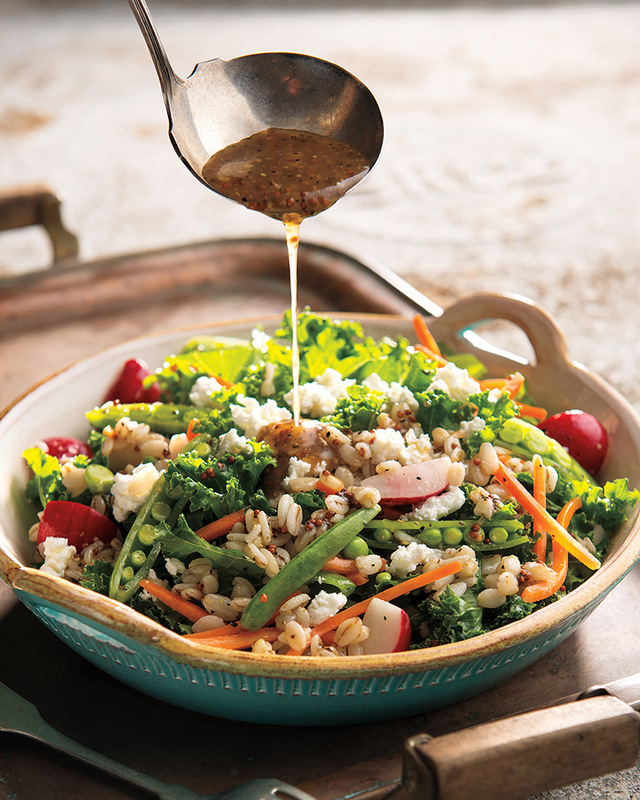 Add radishes, carrots, snap peas, kale and barley; toss until well combined. Serve salad sprinkled with chèvre. Makes about 8 cups. If not serving immediately, cover and refrigerate dressing and salad separately up to 2 days. Toss salad with dressing and top with chèvre just before serving. > Soaking your barley overnight before you cook it may reduce the amount of time it takes to actually cook, especially if you opt for a hulled barley over a quick cooking variety.